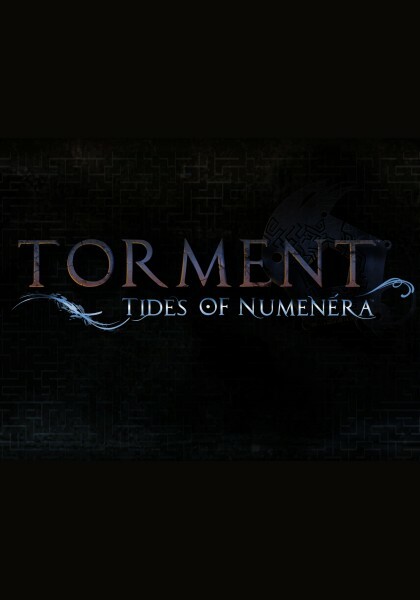 GB: First off, we're absolutely astounded at the success that Torment: Tides of Numenera has seen on Kickstarter. Only 6 hours before being funded? To say that exceeds anyone's expectations is a given, but what do you feel this show of support says about the popularity of old-school Western RPGs in this day and age, and the future of the genre? Kevin: We had a lot of awareness built up in advance. Fans surmised what we were up to as far back as December and we admitted it soon after. Project Eternity supported us by letting their backers know, and we communicated with our Wasteland 2 supporters to explain how the Torment Kickstarter wouldn't interfere with Wasteland 2 and would actually be a good thing. GB: Planescape: Torment is obviously an enormously beloved game, in large part for its narrative qualities, with its writing often cited as some of the best the medium has produced. Aside from having some of its key developers on Torment: Tides of Numenera, and the help of pen and paper veteran Monte Cook, what are you doing to match the extremely high bar set by the original? Colin: We're bringing on a number of professional writers including (hopefully) Patrick Rothfuss. And by the time you read this, we'll have announced Chris Avellone's involvement in the project (hopefully). We're incredibly excited to have these two creative forces join the team. As we've said before, we're not trying to beat PST we want to sit as a companion piece. GB: Building upon our previous question, are you in a position where you can work directly with Monte Cook to make concessions in the universe that might help you better adapt the game to an electronic medium? And regardless of whether or not such concessions can be made, are you at all worried that the Numenera universe might not strike a chord with as many gamers as you'd like, even if Torment itself is an enjoyable game? Colin: Monte's not just a licensor for this project. He's actually part of the team, and he'll be working with us to craft areas, dialogues, and some of the systems as well. So we'd say it's a healthy give-and-take, rather than concessions Monte is aware that a CRPG requires intensive rules and systems, and he has encouraged us to develop those systems. He designed the Numenera system to be primarily a storytelling and narrative system for tabletop, and he knows that this is a different industry. As for the second question, not at all! Planescape: Torment itself was a shot in the dark it wasn't TSR's (or WotC's) most popular setting, and many tabletop gamers hated it and its attitude. The Ninth World should appeal both to people who loved the first Torment and to people who are looking for something new in their gaming. GB: How will the Tides and Legacies factor into Torment? Will we see different societies and cultures that follow one Tide over another? What sorts of gameplay impact will they have? Will they be integrated into the character system, or are they mainly a plot device? Is a Legacy basically just a label ((chaotic evil)), or will it significantly alter gameplay? Colin: We're planning to have a variety of inputs and options based around the Tides and Legacies, but we don't want to give away too much just yet. They're not widely known, though certain groups have indeed risen that believe that they comprehend (whether dimly or more insightfully) the forces of the Tides, and some of them are consciously or not pursuing aims that accord well with the Tides. The Tides might just be a belief system for others, and unknown to far more. As for what impact they'll have in gameplay... you'll have to wait and see. We're integrating them into both plot and character, and we're looking to move well beyond 2nd Edition D&D's alignment system for the effects the Tides have on gameplay. The more funding we receive for the game, the deeper we'll be able to make this system, and we're hoping for some incredible reactivity when the game is complete. GB: The old dialogue tree system is a tried and true way of handling conversations, but some have remarked that it's also showing its age and it can have some downsides (such as the reliance on huge volumes of text and binary if->then logic). Are you planning to experiment with the dialogue system in new ways for Tides of Numenera, or are you not going to mess with a good thing? Colin: We do plan to experiment with it in some interesting ways (though many of our readers have demanded extensive text, in the tradition of PST), but we're not going to overhaul the system entirely and scrap the good work that it produces. Instead, we're planning to fine tune it. GB: Choices with consequences is one the core pillars of Planescape: Torment, and you've made it clear that Tides of Numenera will be similar. Despite its focus on C&C, Planescape still told a very fixed story that didn't change too dramatically; rather the consequences of actions were more in the smaller details. Are there plans for greater gameplay consequences in Tides of Numenera, or is the story going to remain similarly linear? Colin: We do plan for great gameplay consequences. We want the story to be a logical, natural outgrowth of the actions you've taken throughout the game so that there is no (best) ending... or rather, that the best ending is every ending, because it's the culmination of how you played.